The other day I received a box full of art supplies with a certificate in the bottom stating I was the 1st runner up in a teacher art contest for Sargent Art. I had forgotten about entering this back in the spring, and of course I was excited to have placed! That said, the grand prize was a trip to New York!…and I was one away from winning that! But a box of supplies is still lovely, I guess I better get to work! 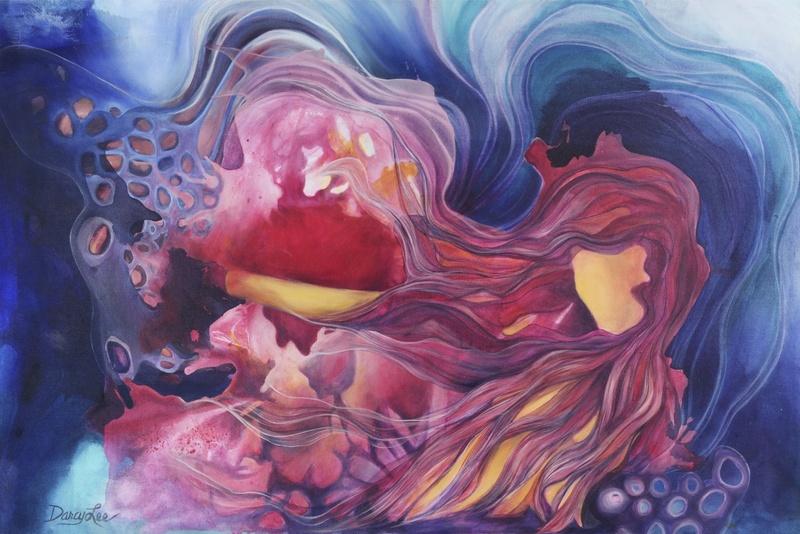 Genesis – 36×48 in. Acrylic on Canvas. 2016. I am an earring factory!